I tested charging a 5200 mAh (20 Wh) battery at 10W. Its charging level at the beginning was 20%. The terminal voltage was 3.68V. Now, I applied 10W of charging rate to the battery. The terminal voltage has then risen to 3.94V, so risen by 0.26V. Let's increase the charging rate until the terminal voltage increases by 0.26V again. Now, we have 4.2V of terminal voltage. Is the charging rate now 20W or higher? ?? Watts at 4.20 Volts ? 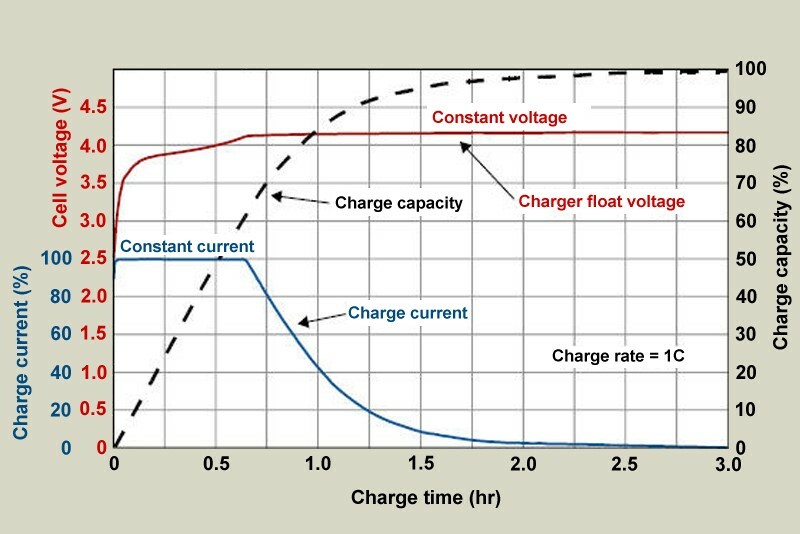 Have you read: https://batteryuniversity.com/learn/article/charging_lithium_ion_batteries ? Not the answer you're looking for? Browse other questions tagged batteries battery-charging lithium-ion lithium lithium-poly or ask your own question. 3.7 Volt external battery to charge a another 3.7 Volt Phone Battery?